Last night my Uncle Carnell lost his battle with cancer. About a year ago he was diagnosed with Stage 4 lung cancer. Despite an ominous diagnosis he was optimistic. His first few treatments of radiation and chemo were extremely harsh. My mother being a resourceful and determined person she is found new doctors for my uncle. Thanks to her he was able to receive great care from the doctors from Methodist Hospital. At the time my Uncle was receiving treatment I was able to take him to and from treatment. We were able to bond like we hadn’t before and I’m extremely fortunate for that. I also was able to see what determination looked like. Whether it was raining or cold my uncle got up and went to treatment. When he didn’t feel so good and maybe he felt a little down he got up and he went to treatment. As a result, my uncle responded to the treatment a lot better. I learned something so valuable about support systems during his first round of treatment. Our family took turns taking him to treatment. We visited with him. The kind staff at Methodist were supportive and very Friday therapy dogs came to visit. We were also able to fellowship with the therapy dogs care takers and they prayed for my uncle. Sadly the cancer spread and the treatment coupled with the cancer overtook him. As I write this I can’t say that I’m not sad, because I don’t think I’ve stopped crying since I started writing this entry. The tears aren’t all of sadness, but tears of good memories. I remember growing up and even as an adult my uncle was never afraid to tel me he loved me or that he was proud of me. However I hope he heard my words that I was proud of him and that I loved him for sticking with his treatment. For continuing to be a brother to my mother despite his struggle. For continuing to be a uncle to my sister and for always honoring my grandmother, his actual step mother, as his mother. I wrote about flowers before this, but I reiterate to anyone able to or who took the time to read this, give the ones you love their flowers while they are still here. 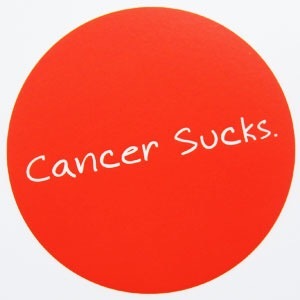 I acknowledge that cancer may have won the physical battle, but it never won the spiritual battle with my uncle. My lasting memory won’t be of a hospital bed he lay in, but of him ringing the bell when he finished his first round of treatments. In 1999 my life was changed and I could never have imagined the impact. I was a freshman at Robert E. Lee High School. The high school would serve as a holding school for many students transferring to Westside High School the following year. At Lee High School I like many students, had a counselor. One day my counselor said she wanted to introduce me to a program called Leaders of Tomorrow (LOT). I had never heard of it. Like most freshman I wasn’t interested until she said I could have a chance to take free trips. I thought wow that would be great. I loved to travel and had great opportunities previously thanks to my family. The counselor said I would have to interview for a spot in the program. A few weeks passed and my interview approached. My little brother lived in Tennessee at the time and sent me a Tennessee Volunteers sweatshirt, he lived near the University of Tennessee and like most basketball fans I was a fan of Pat Summit and her UT teams. On the day of the interview I happened to wear it, because it was cold in the school. I walked in and introduced myself to the man interviewing me. Little did I know that the man who would interview me would have a tremendous impact on my life. Turns out Eric Lyons, the man who interviewed me, was a graduate of the University of Tennessee and native Tennesseean. While I’d like to think I was just a great candidate I can’t the favor that God imparted on my life. Mr. Lyons as I still call him has been my mentor for over 16 years. The LOT program would allow me to break out of my introverted and quiet shell. The LOT program, which is hosted by the National Black MBA Association, provides young African-American, high school students a mentor and professional development. The trips that the program allotted me were nice, but I’m more grateful for the grooming and lessons it taught me. When measured against my peers I’ve usually been able to be cool under pressure, I’ve been able to understand my impact in situations, and more importantly the program taught me the importance of giving back. LOT taught me to make an Impact! My mentor Mr. Lyons was very different from most mentors, on birthdays and/ or Christmas he never gave me items that were meaningless. He always gave me items that I could use for years to come. Items like a portfolio to take to interviews, watches to wear with my suits, and ties. I didn’t get it then, but I get it now. The items he provided were to help carry me to the next levels of my life. Mr. Lyons is the reason I made the decision to attend Hampton University intially and he was instrumental in helping me get accepted with scholarship money. That said I am not his only mentor, all of the many other young men he has mentored are all making tremendous strides in our communities and in the board rooms across the world. Mr. Lyons has always served as a great sound board, an non-judge mental member of my family, and a great role model. I’m thankful for him and the many other mentors I’ve accumulated throughout the years. I learn from them, I’ve prospered because of them, and most importantly I’ve become who I am because of their guidance. I hope this blog entry encourages someone reading it to make an impact. Start small with the people next to you, in your family, or even in your church or religious houses. Your impact can never be measured, but it surely won’t be forgotten. 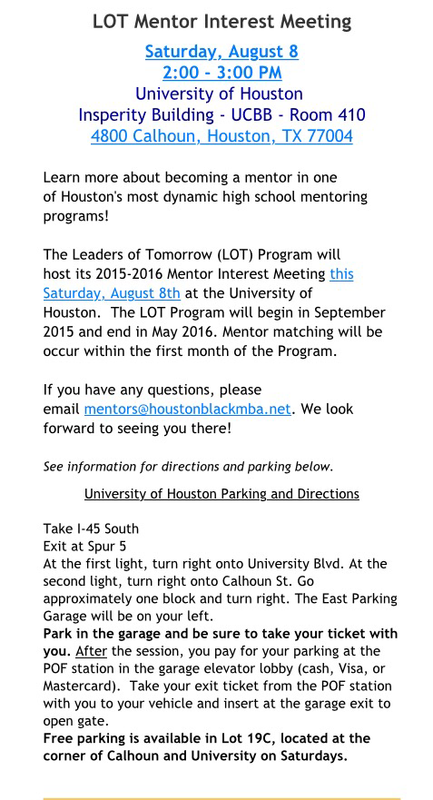 This Saturday there will be an opportunity to become a mentor. See the picture below to get information on how you can make an Impact!